Just watched this & I highly recommend it! On this day 68 years ago by executive order of President Harry S. Truman the U.S. dropped the nuclear weapon “Little Boy” on the city of Hiroshima on Monday, August 6, 1945, followed by the detonation of “Fat Man” over Nagasaki on August 9. These two events are the only active deployments of nuclear weapons in war. Within the first two to four months of the bombings, the acute effects killed 90,000–166,000 people in Hiroshima and 60,000–80,000 in Nagasaki, with roughly half of the deaths in each city occurring on the first day. The Hiroshima prefectural health department estimates that, of the people who died on the day of the explosion, 60% died from flash or flame burns, 30% from falling debris and 10% from other causes. During the war “annihilationist and exterminationalist rhetoric” was tolerated at all levels of U.S. society; according to the UK embassy in Washington the Americans regarded the Japanese as “a nameless mass of vermin”. Caricatures depicting Japanese as less than human, e.g. monkeys, were common. A 1944 opinion poll that asked what should be done with Japan found that 13% of the U.S. public were in favor of the extermination of all Japanese, men women and children. News of the atomic bombing were greeted enthusiastically in the U.S.; a poll in Fortune magazine in late 1945 showed a significant minority of Americans wishing that more atomic bombs could have been dropped on Japan. The initial positive response was supported by the imagery presented to the public, (mainly the powerful mushroom cloud) and the absence of evidence of the human effects—photographs showing corpses and maimed survivors—were suppressed, and reports were censored. As an example, a member of the U.S. Strategic Bombing Survey, Lieutenant Daniel McGovern, used a film crew to document the results. The film crew’s work resulted in a three-hour documentary entitled The Effects of the Atomic Bombs Against Hiroshima and Nagasaki. The documentary included images from hospitals showing the human effects of the bomb; it showed burned out buildings and cars, and rows of skulls and bones on the ground. When sent to the U.S., it was mentioned widely in the U.S. press, then quietly suppressed and never shown. It was classified “top secret” for the next 22 years. 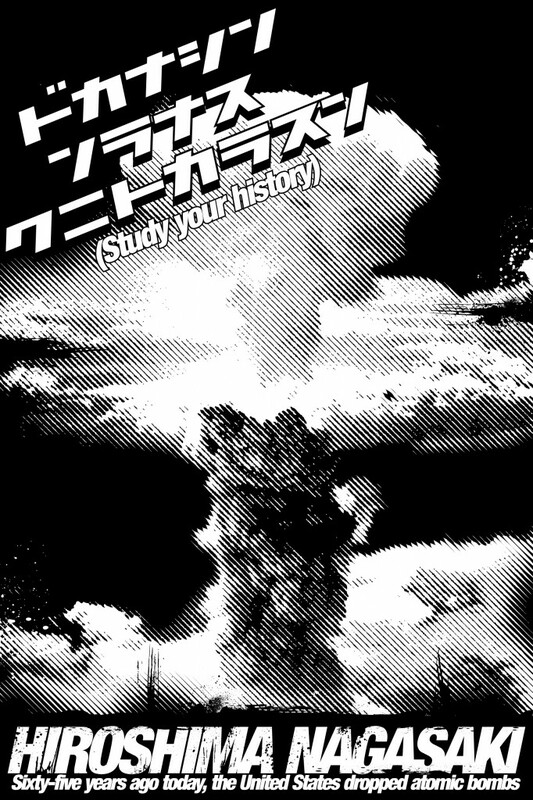 Imagery of the atomic bombings was suppressed in Japan during the occupation although some Japanese magazines had managed to publish images before the Allied occupation troops took control. The Allied occupation forces enforced censorship on anything “that might, directly or by inference, disturb public tranquility”, and pictures of the effects of the people on the ground were deemed inflammatory. A likely reason for the banning was that the images depicting burn victims and funeral pyres evoked similarities to the widely circulated images taken in liberated Nazi concentration camps.